—Bo Dietl—Retired NYPD Homicide Detective, author of “One Tough Cop” and Business Lunchatations. 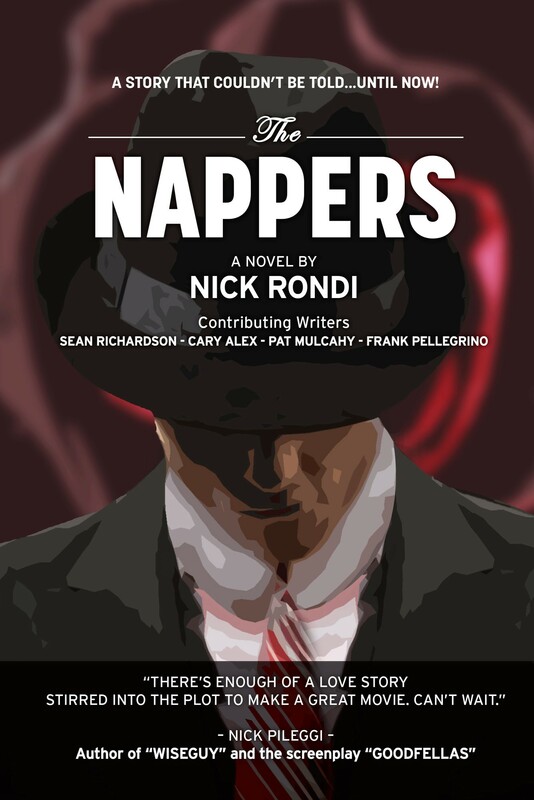 Nick Rondi the author of The Nappers was born and raised in East Harlem in New York City. This story is composed not only of his recollection of what transpired in the neighborhood in the years 1949 to 1968, but also of events to which he bore witness. His knowledge of “The Life”—the people living it, the honor and dishonor of being part of it—compelled him to write this book. At its heart The Nappers is also the story of the destruction of a neighborhood that was once the largest Italian enclave in the United States. Although Joey Rendino the protagonist is a gangster who kidnaps other mobsters—thus the title—he is also a man in love. Narrated by his watchful younger brother, this tale of star-crossed love as well as tragedies both personal and political will leave readers wondering which side of a fine line to walk with characters whose actions are both violent and tender. The Nappers can be read as a passionate story between two conflicted longtime lovers, or one of love between two brothers. It’s also a tale about inexplicable acts that caused much confusion in a close-knit community and left many unanswered questions. And last but not least it’s a love letter to a neighborhood that was dismantled piece by piece in the name of urban renewal.